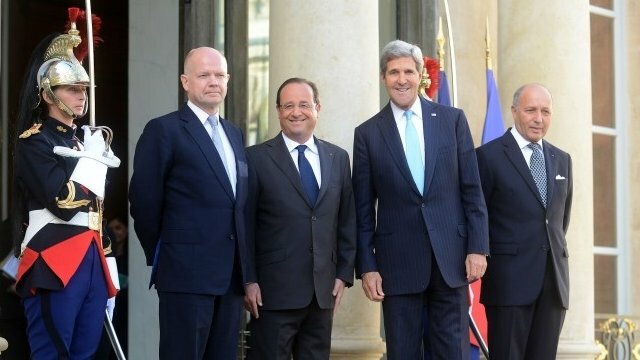 Kerry: 'The threat of force remains' Jump to media player US Secretary of State John Kerry hailed the US-Russia agreement on destroying Syria's chemical weapons, but warned against "hollow words". Syria military threat 'remains real' Jump to media player US Secretary of State John Kerry has reiterated that the threat of force "remains real" if Syria reneges on its commitment to destroy its stockpiles of chemical weapons. 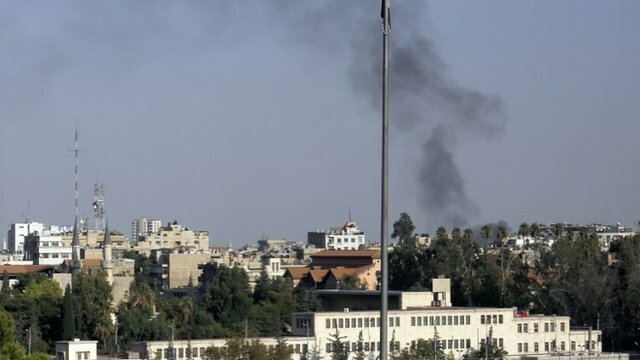 Bowen: 'Exceptionally heavy shelling' Jump to media player The BBC's Middle East Editor Jeremy Bowen reports from the Syrian capital of Damascus about feelings within the city about the current peace settlement talks that our taking place in Geneva. 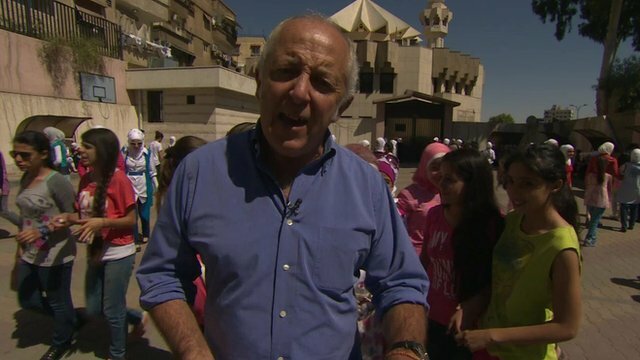 Syria's 'lost generation' of students Jump to media player Jeremy Bowen reports from a school in Damascus on the first day of the school year in Syria as the UN says almost two million children will not receive any education this year because of the ongoing conflict. 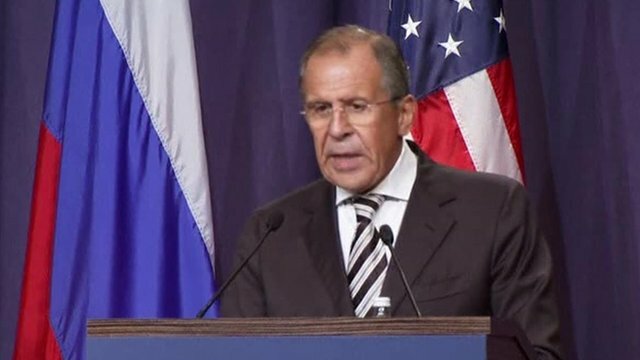 Kerry: Syria needs political solution Jump to media player The US and Russia have agreed a framework for the declaration and destruction of Syria's chemical weapons. 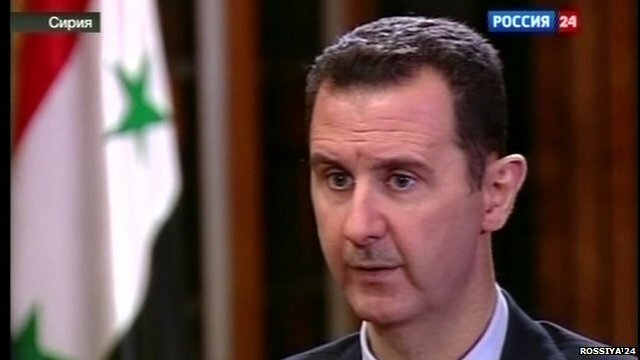 Russia backs non-combat Syria plan Jump to media player Russia's foreign secretary has welcomed an agreement with his US counterpart over the removal of Syria's chemical weapons. 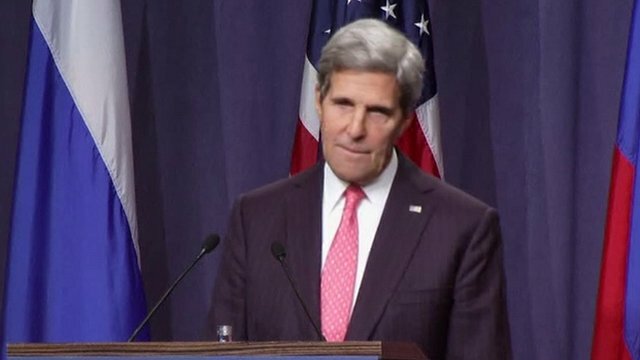 US Secretary of State John Kerry hailed the US-Russia agreement on destroying Syria's chemical weapons, but warned against "hollow words". 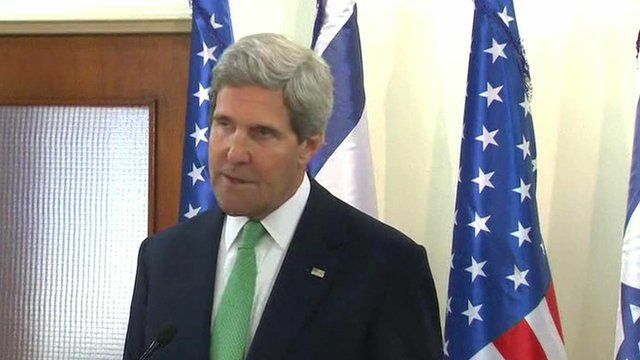 Speaking from Israel, where Kerry was meeting Prime Minister Netanyahu, he said: "We cannot have hollow words in the conduct of international affairs." He also emphasised that the US government recognises just removing the chemical weapons is "not all that the government seeks to do".